The draft is divided into 3 broad areas: expanding the current telecom infrastructure, outlining plans for emerging technologies and data security. The draft for the new national telecom policy, officially called National Digital Communications Policy, is out! Once cleared, this is going to be the fifth telecom policy ever introduced since the telecom sector took off in the country. The draft is divided into three broad areas: expanding the current telecom infrastructure, outlining plans for emerging technologies (like 5G, IoT, machine-to-machine communications) and data security. It's a draft paper so expecting too much from it would be silly. The paper, for obvious reasons, lacks details on how the government is going to achieve the lofty targets that it has set under the policy. There are two timelines to achieve most targets - 2020 and 2022. Among other things, the draft aims to provide wireline broadband access to 50 per cent households, deploy 10 million Wi-Fi hotspots, attract investments of $100 billion, and create 4 million more jobs in the sector by 2022. Interestingly, the draft, in a way, has also revised the standard speed of broadband in India - from 512 kilobits per second (kbps) to 50 megabits per second (mbps), a whopping 9765% jump. The draft tries to show a realistic picture of the mobile subscriber base in the country. While the total mobile subscriber base stood at 1,156.87 million in February 2018 with a tele-density of 90.11%, the unique subs - each subscriber is counted once, irrespective of multiple connections that one has subscribed to - are much lower. The aim is to take 'unique mobile subscriber density' to 55 by 2020 and 65 by 2022, as per the draft. There are a lot of areas that could cheer up the private sector. 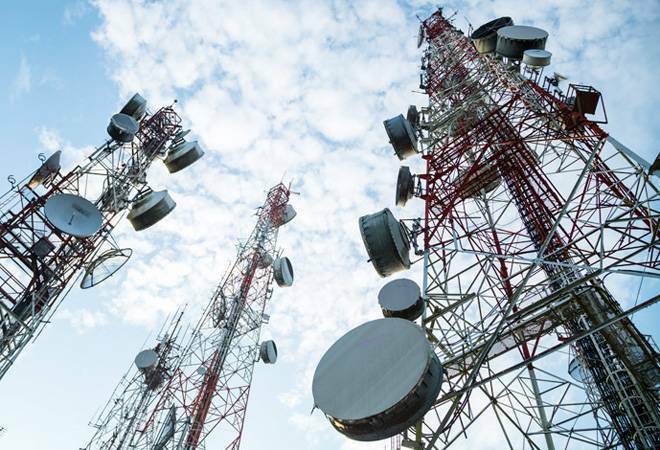 The draft specifies the need to rationalize levies and fees paid by telecom operators at the moment, including license fee, universal service obligation fund (USOF) levy, spectrum usage charges (SUCs) - a long-pending demand of the operators - and levies on communications equipment. The draft also emphasizes that telecom should be recognized as essential infrastructure sector and therefore, becomes eligible for low-cost financing. The expansion of telecom infrastructure, according to the draft, can be achieved with deeper broadband penetration, including expanding optical fibre cable (OFC) network; better utilization and higher availability of spectrum; and develop an ecosystem for satellite communications in India. For instance, India has about 1.5 million km of OFC, and less than one-fourth of the telecom towers are connected through fibre. The draft policy aims for fiberisation of at least 60% base stations to prepare for 4G/5G technologies. In some portions, the draft seems to be dictating terms for the sector instead of making it less interfering. For instance, it says that all commercial, commercial, residential and office spaces have to mandatorily plan for telecom installations and the associated cabling and in-building solutions. This will be forced on the developers through amendments in the national building code of India. Former telecom secretary R Chandrashekhar recently called the National Telecom Policy 1994 a "bit disaster" as it could not achieve much for the sector. A policy runs the risk of becoming irrelevant even if its intention - both in spirit and letter - is to grow a particular sector because the execution has always been the most crucial piece of the jigsaw puzzle.